Ecole Ruban Vert are an acclaimed international School, that were looking to increase their profile throughout the local region whilst also trying to appeal to an international audience. A unique consideration in this project was that there needed to be various translations for the School’s website and so we implemented this as part of the build. The site now includes English and French versions, while the Spanish translated version is currently under construction. The design style submitted, accurately reflected the style and environment of the School whilst emphasising their key values of excellence, respect and virtue. 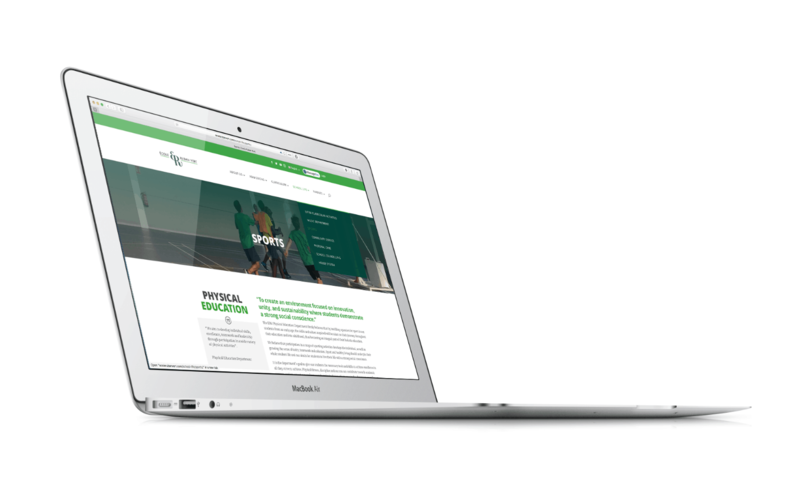 The home page design included links to a Virtual Tour of the School, Events, Vacancies, Application portal, news features and a simple easy to use navigation menu for visitors to the site to move quickly and easily through the site. News and Social Media play a key role in the School communications and are therefore a key focus of the web solution, to further enhance the School’s profile through the site. The Content Management System we chose to develop the solution was based on the client’s requirements to future proof the site. An important part of this was to make sure there was plenty of flexibility to integrate with third party platforms which included a Student Application process, a Vacancy system and an exclusive Virtual Tour of the campus. 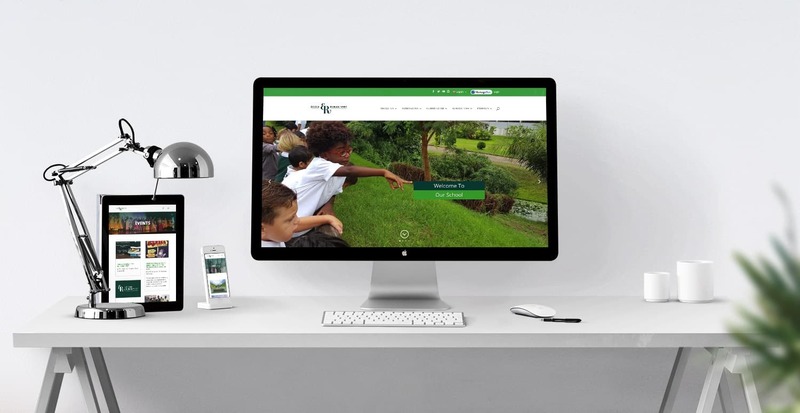 Our in-house design team incorporated a wide variety of features to improve the user experience which included interactive page turning software, video, blogging zones for students, a Headmaster’s blog and an ever-changing social media wall. In addition to this, the simplicity of WordPress CMS, allows the client to have complete control of the site, coupled with the ability to adapt the design theme in the future should they wish to do so themselves.